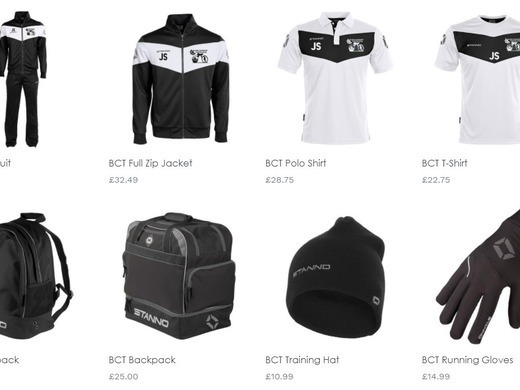 Kit and accessories now available on Kingswinford Sports Shop Website for BCT. Just waiting for them to upload Hoodies, but website should be available to use. Dont forget to use Discount Code bct25 as this gives you a 25% discount.